Home/Blog/Waste Management/Trash in the Tri-State: Where does it go? Since all we have to do is put the garbage out on the curb on the right day of the week, it can be easy to forget where all that garbage might be going. There are two main routes garbage takes after being thrown out: in state or out-of-state. Of course, the most ideal situation would be for the trash to be recycled as reusing certain materials is extremely beneficial to our environment. In any case, the trash will either go to a landfill, transfer station, or resource recovery facility whether it is in-state or out-of-state. What are the differences between the three locations in the tri-state area? Let’s find out how much trash our area produces, where it is going, and how we can better manage our garbage. 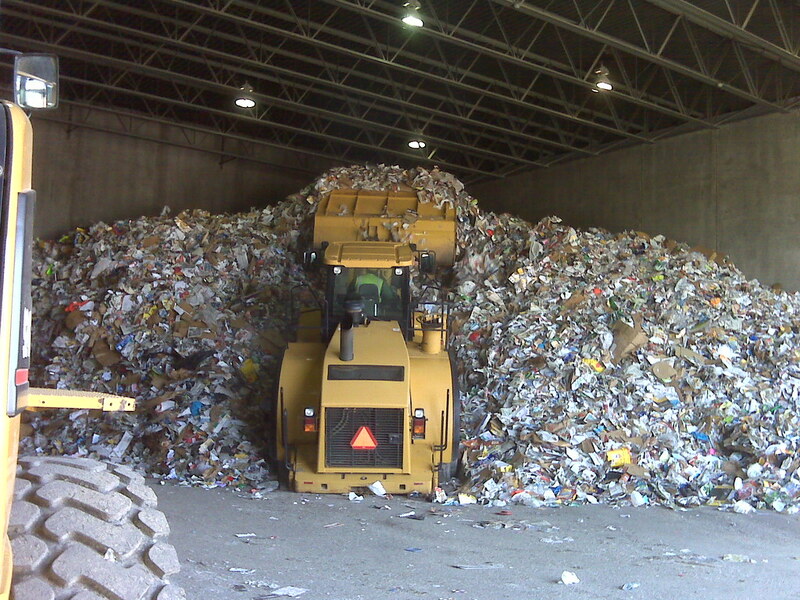 A landfill is a place to dispose of waste material by burying it and then covering it with soil. Heavy machinery is used to fill the land with garbage. The landfills are built with special foundations in order to keep hazardous and wasteful material from mixing with the groundwater. The tri-state area’s garbage often winds up in Pennsylvania since they have lower disposal rates. It is important to know that a landfill does not last forever since it eventually gets filled with too much garbage. Therefore, more landfills have to be created to keep up with the garbage. The Federal Environmental Protection Agency states that roughly 56% of the garbage in the United States is disposed of by landfill. A Resource Recovery Facility selects certain materials for a specific use in the future. The process is most commonly known as recycling or composting. It greatly impacts the amount of waste that has to be put into a landfill, and creates new uses for old materials. Residents can recycle most items such as metal cans, paper and cardboard, glass bottles, plastic bottles, and other miscellaneous items. At a transfer station, the garbage trucks transfer the garbage into larger sized transportation to be able to transport the garbage out of state. Some garbage has to be transferred because it requires further processing and treatment. Transfer Stations will usually receive wasteful materials such as construction debris, used oils, and other items that are more difficult to dispose of. With all that garbage looking for a place to go, Jefferson Recycling is committed to making your community more sanitary every day. Contrary to popular belief, garbage in landfills does not decompose as soon as you may think. Since the landfills are specially built, the garbage is trapped and separated from natural components in the ground that would otherwise help it break down. When you start to learn more about where all the garbage goes and how much of it is produced by humans, you start to realize the extreme importance in having a trustworthy Recycling and Waste Management Company. Jefferson Recycling helps residents in New Jersey dispose of their garbage safely. Call (973)-361-1589 to find out how Jefferson Recycling can help serve your community.